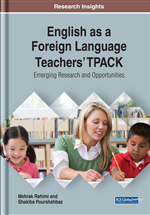 This chapter addresses the theories underlying the construct TPACK. The chapter begins with reviewing the history and then the rationale of teacher knowledge base in the form of a multi-dimensional model taken from published literature. It also discusses how TPACK framework has developed and evolved in the last decade. Some seminal works whose authors have contributed greatly to the development of TPACK model are reviewed. Based on the theoretical frameworks and the findings of the empirical studies, a comprehensive list of the definitions of TPACK and critical issues regarding this framework are discussed. The chapter comes to its end by introducing the evolved model of TPACK, TPACK in-Action, in detail. It is common sense between educators that teaching is a complicated profession that requires several types of specialized knowledge. This means that in order to make the most of this ill-structured discipline, teachers must be able to employ complex knowledge structures across multiple contexts (Mishra, Spiro, & Feltovich, 1996; Spiro & Jehng, 1990). In other words, teachers are under the constant pressure of empowering themselves technologically and pedagogically. Given the dynamic nature of the teaching environment, educators need to be flexible to evolve their understanding and develop their knowledge from well-organized and integrated domains (Glaser, 1984; Putnam & Borko, 2000; Shulman, 1986; 1987). These domains involve knowledge of the subject matter, students’ learning, and most importantly, knowledge of technology. In the field of language learning, the word technology applies to both old (analog) and new (digital) technologies (Koehler & Mishra, 2009). As technological determinist beliefs push educators to adapt themselves to technology, it is seen that ICT use is demanded by different groups outside of school; and teachers are expected to embrace this change accordingly. With this force upon change in the educational system, of course come some unintended consequences for the teachers; some good, some actually not so desirable (Pedersen, 2001). That is to say, despite the widespread integration of technological tools and software in peoples’ everyday lives, using technology in education and language instruction has not always been successful. This problem is created due to the lack of normal integration of technology in education that can have many reasons according to empirical findings. It is proposed that different personal, technical, pedagogical, socio-cultural, and institutional issues act as barriers in normalization of ICT in education (Mahdi, 2013). As a matter of fact, it is believed that the mission of integrating ICT into classrooms cannot be a truly positive and effective experience if the executers, in this case language teachers, do not possess the required knowledge and skills of using technology. Lack of teachers' skills and abilities in incorporating technology into the classroom is known to be one of the most important barriers to successful technology integration in the teaching process (Yurdakul, Odabasi, Kilicer, Coklar, Birinci, & Kurt, 2012). Recognizing the challenges of teachers in the route of ICT integration is a great step in finding a solution. The first challenge is related to the characteristics of technological affordances. The traditional and modern pedagogical technologies have distinctive features which are characterized by three attributes: specificity, stability, and transparency (Koehler & Mishra, 2009). The function of traditional technologies is specified (a chalkboard is used for writing while a microscope is used to view objects), stable (chalkboards, microscopes, and pencils have not altered significantly over time), and transparent (the function of a pencil or a microscope is simple as it is directly related to their inner workings) (Simon, 1969). Modern technologies on the other hand are adaptable (they can be used in many different ways), changeable (rapidly modified over time), and obscure (the functions and inner workings are hidden and not easily accessible for users) (Papert, 1980; Turkle, 1995). By their very nature, digital technologies introduce new challenges to teachers who are striving to utilize more technology in the teaching process (Koehler & Mishra, 2009). Understanding the challenges that teachers face in the path of technological integration is vital for comprehending the need of developing teachers’ technological knowledge base.